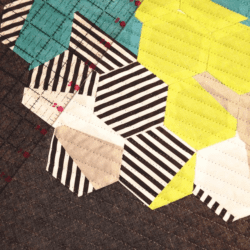 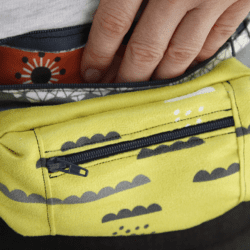 Take a look at this week's round up of lovely projects stitched up using Spoonflower materials! 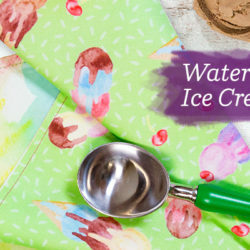 From custom baby quilts to the most precious little bunting, we are thrilled to see how you, our community, uses our fabric! 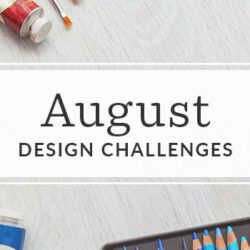 Use #Spoonflower or #Spoonflowered to share any projects you're working on or finishing up! 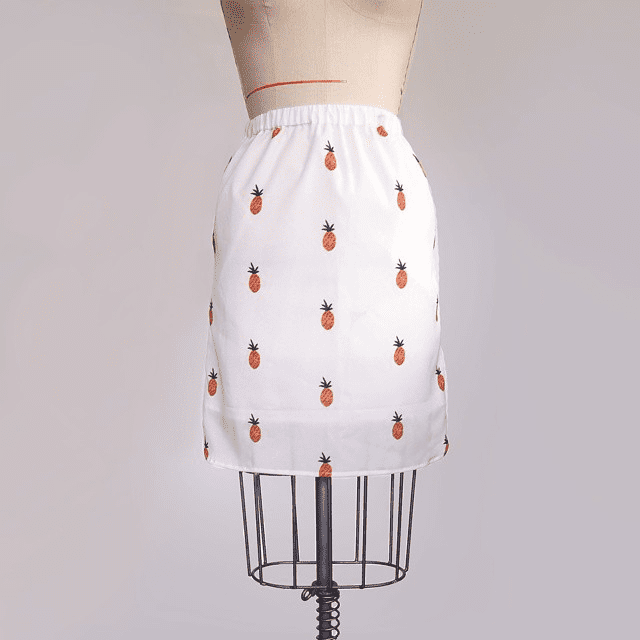 Paul + Lily made the sweetest pineapple skirt. 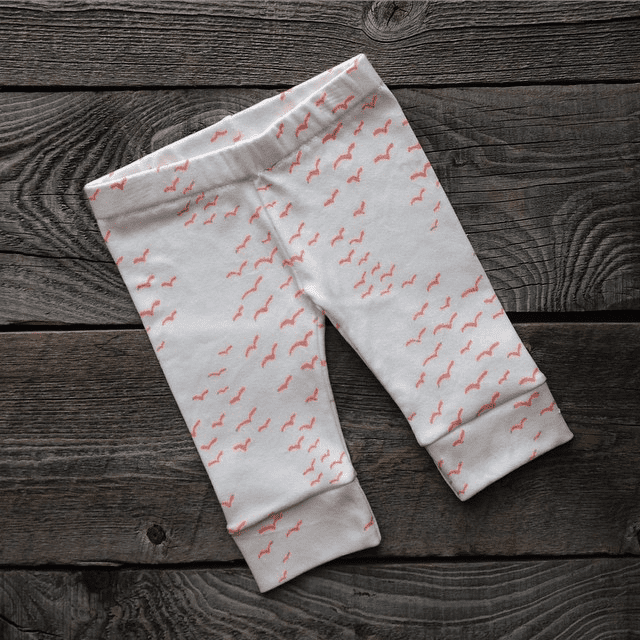 Little leggings by Nealen Cloth. 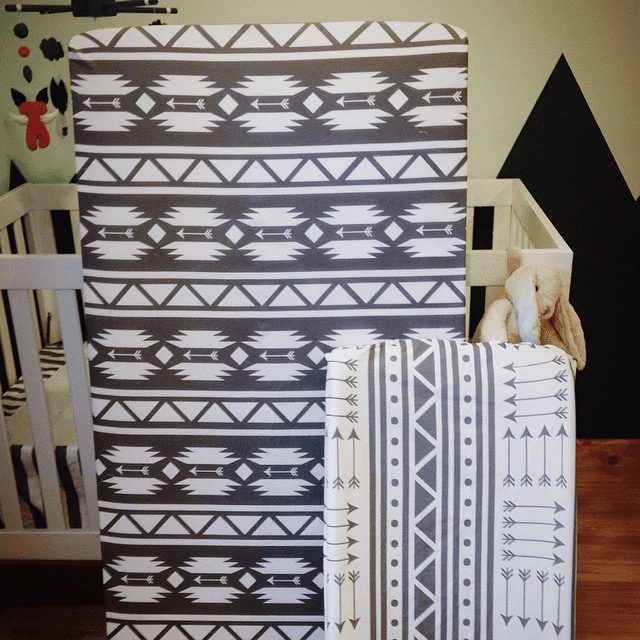 Coordinating crib sheet and changing pad cover created by Charlie Rowan! 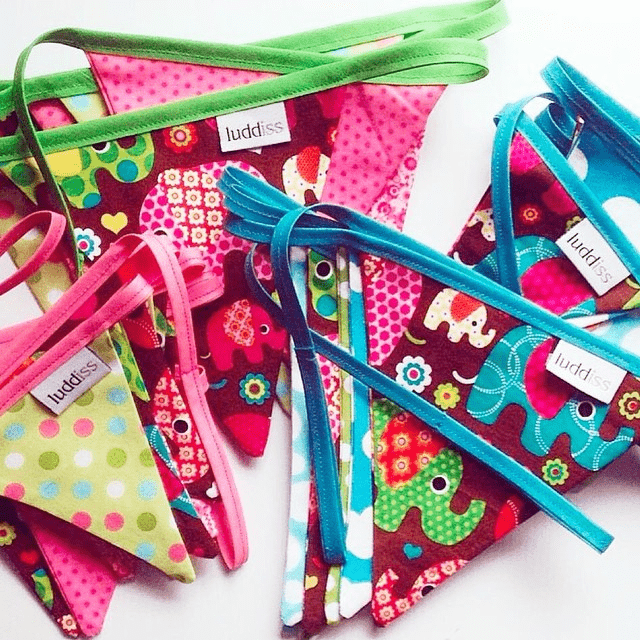 Little Smile Makers whipped up the most precious bunting. 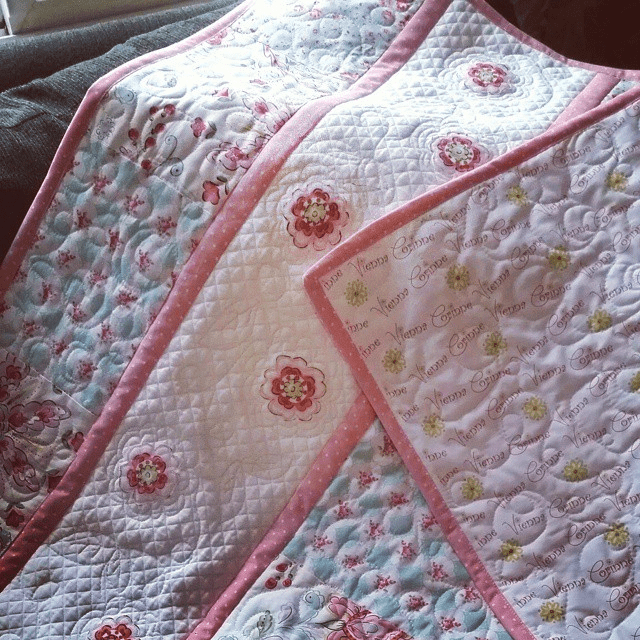 A beautiful baby quilt with custom fabric by Cynthia Strickland!